Warm and inviting, soft soothing colors, rich textures. Has a lovely feel and Southern exposure. This cottage room is the perfect place to let go of the stress as you look out on the tall, bamboo like grasses and listen to the sounds of silence. 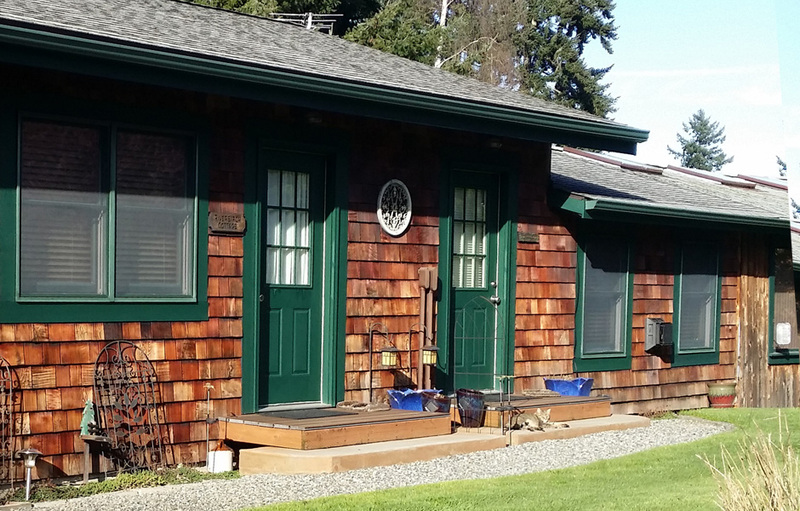 Thia self sufficient cottage is perfect for a few days or even weeks. Enjoy the shared outdoor covered patio and gathering place in the center of our beautiful gardens. 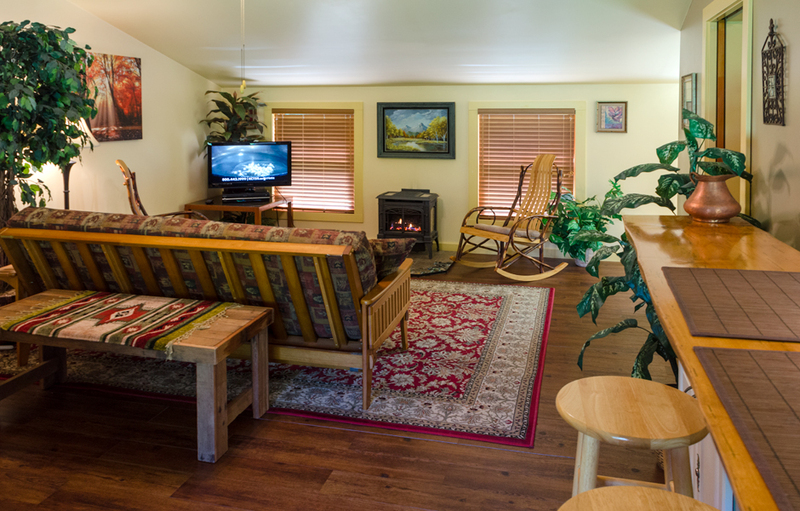 Complete private cottage, with Queen sized bed, private bath with tub/shower (ample counter top and sink, hairdryer, shampoo & soap). Kitchen with full size refrigerator, microwave, coffee maker, fully stocked dishes, wine opener & glasses. iron/ironing board, robes. $179 – $209 per night + WA tax . 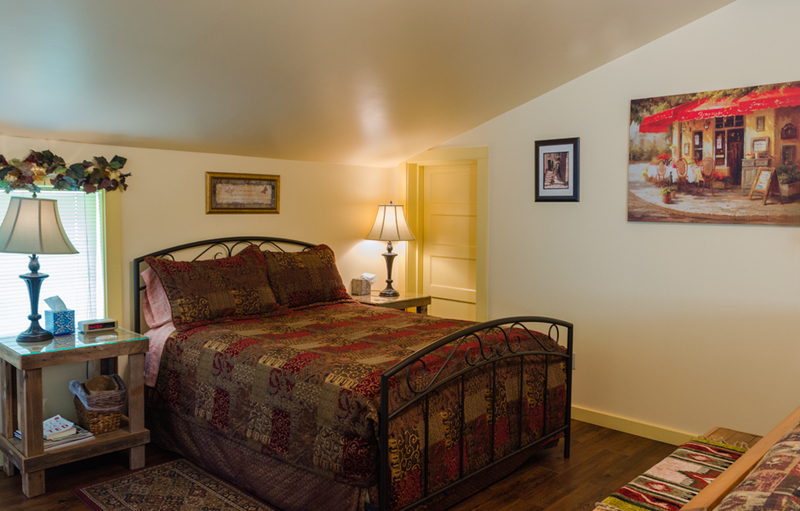 (1-2 people same bed, 2 or more nights) – this cottage has 1 queen bed) ($25. per night extra person charge and/or 2nd person use of futon sofa bed) maximum 3 persons per room (off season). 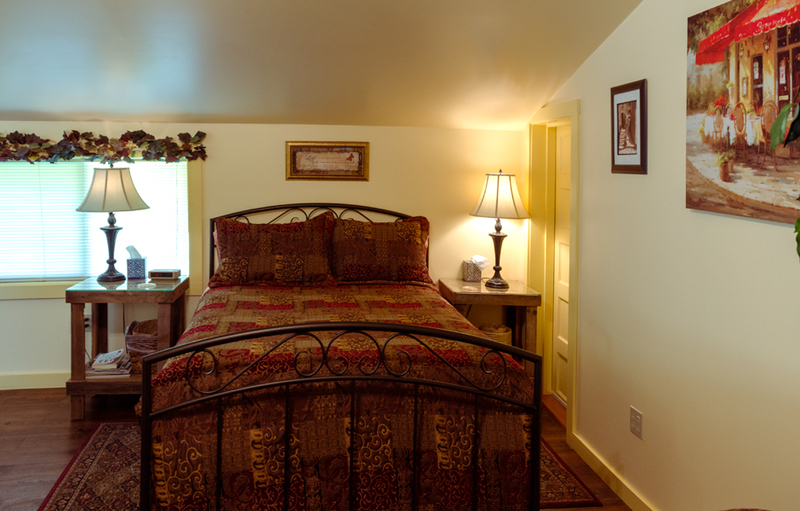 * Peak Season – Maximum 2 person per room * 2-3 nights min. stay depending on high season/holiday etc. This place is magical! Thank you for giving us a place to find joy in. We are sad to be leaving this beautiful place. This has been such a restful, peaceful, inspiring place to stay. After 10 days it feels like home! 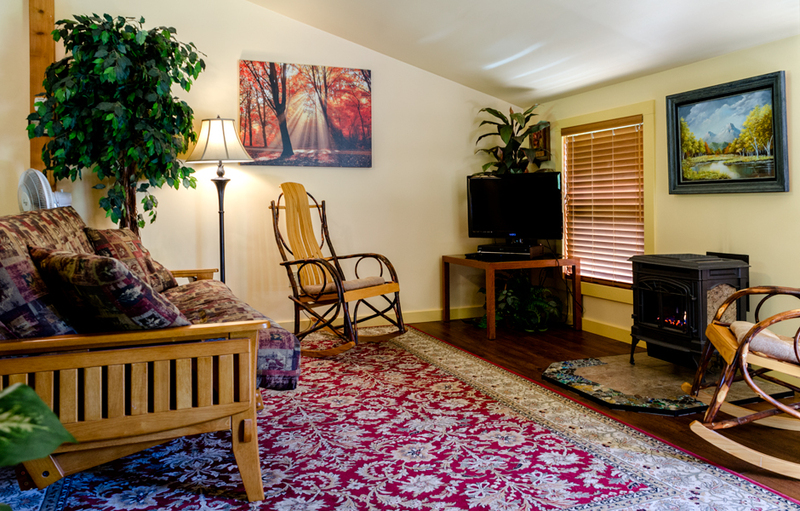 Thank you, Jacqueline and Lance for sharing your wonderful cottage with us…. you are kind and gentle souls. We will see you again ~ hopefully soon.